I work with a customer who owns a chain of sporting good equipment stores across the upper mid west. They order from me directly pretty regularly, establishing a great relationship between our company and theirs over the years as they expand and open new locations and implement new hardware. Other times they are replacing existing equipment or adding new ones to their stores. I've worked with them for about a year a half now. Their account was handed down to me from a previous sales person, having already established extensive order history from us. A memorable experience I had with this customer is when ordering 73 scanners to 29 different locations nationwide. This is not an easy feat, as the logistics involved can be a little complicated if the matter is not given our full attention. There were either, one, two or three scanners going to each location, making this go smoothly was my job. 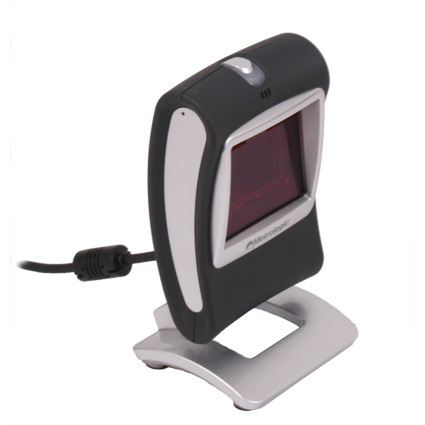 These scanners would help each location to operate more efficiently and optimize the checkout process. A couple things come to mind when thinking back on this, one is which there is great communication between the two parties. This is really important for me to be able to communicate and understand each other clearly and effectively. If the other party also fails on this, a lot of things can go wrong. Fortunately there was no hiccup nor delay, as everything went well according to plan as they say. What they wanted, when and where was very clear. Another thing that comes to mind thinking back on this is the importance of trust, and our responsibility to our customers to provide the best level of customer service possible. Certain dates and timelines were expected in this instance which I promised to meet. The pressure is always there when this is the case, so it took some effort to ensure product was shipped out on time. This involved sending emails and calling people, splitting the order is 29 different ways took a bit of time having to process. Each order has placed separately to ensure individual tracking, accountability and fulfillment. Everything done in a timely manner without the customer having to call us to check the status. A good level of trust was involved here. After all was said and done, we successfully got the scanners out on time to all locations. This was a great experience which showcased our ability to maintain a high degree of professionalism and at the same time keeping cool. There may be some concerns when it comes to ordering from an internet company, however I try to strive to implement a honesty and trust. Having genuine attitude and commitment towards helping people is what makes me give such effort.